"The pina colada is a blended drink that originated in Puerto Rico. The mixture of pineapple, coconut, and rum is a taste of the tropics." 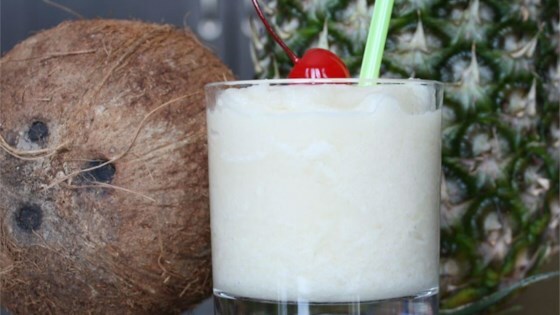 Combine rum, cream of coconut, pineapple, and ice in a blender. Puree on high speed until smooth. Pour into chilled Collins glass and serve with a straw. Watch a professional bartender shake up a spiced rum cocktail.